“Don’t have a funeral for me when I’m gone.” People say this, not realizing while the memorial service is about them, it’s not really for them. Funerals are for those still living who grieve the loss of someone they love. Funeral and memorial service rituals help recognize this transition, socially acknowledge the death, and help start processing grief to move toward healing. The bereavement process starts with the recognition and realization that someone has died. To come to terms with the reality of death, someone has to stand up and say, “Yes, so-and-so has died,” or if you prefer, “passed on.” The reading of an obituary written and published about the deceased often serves this role at a funeral. Funerals or memorial services provide an opportunity to remember and share stories about the person. Eulogies by clergy, family members, and/or friends provide insights into the person’s character and family history. Remembrances can also be sparked by tabletop displays of items related to the person. An important part of funerals is to reaffirm beliefs, whatever they may be. If you believe your loved one has gone to a better place, say so. If you believe you will be reunited with him or her when you leave this world, say so. If you believe love is a valuable thing, just say so. Psychologists cite a number of reasons for holding funeral rituals. They make the dead “safely dead,” dispatched with proper ceremony to rest in peace. They confirm the deceased and their survivors matter, and that the community will continue. They provide structure in the midst of chaos and disorder, and ensure communal support for survivors during a stressful time. I’d like to add a fifth R: No Regrets. Let’s live our lives to the fullest every day. See and hear the beauty in nature. Take time to thank a loved one and tell them how much they mean to you. Share a hug. Enjoy good food and drink. And, of course, stop to smell the roses and admire all flowers. Live life so that when it’s time to say goodbye, you can die with no regrets. And let your loved ones know it’s okay to have a funeral – they’ll bless you for it. 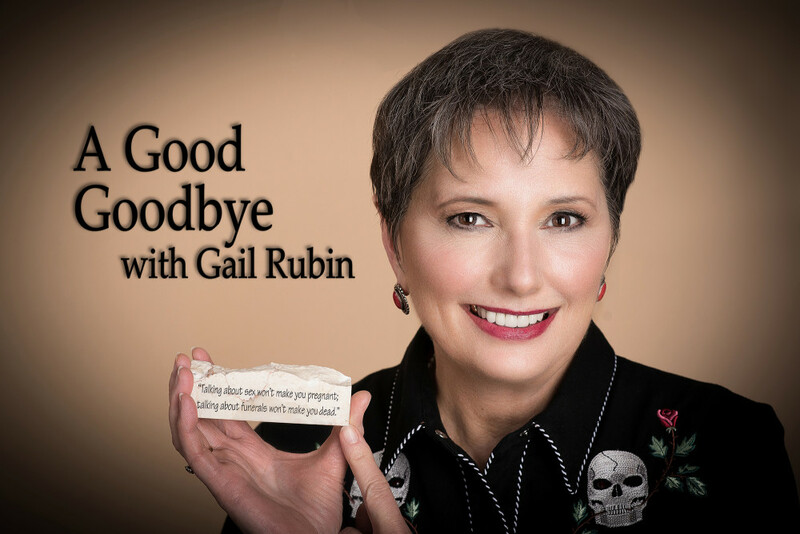 Gail Rubin is the author of A Good Goodbye: Funeral Planning for Those Who Don’t Plan to Die (www.AGoodGoodbye.com) and The Family Plot Blog (http://TheFamilyPlot.wordpress.com). This article is available for reprinting with attribution. Love this. Usually, I confess, I find these mnemonical constructs off-putting, but in this case it looks like a very happy coincidence. Oh, and a very convenient way of remembering them, too. Brilliant!